Welcome and thanks for visiting. If you are looking for an experienced and caring Long Island REALTOR® to help you, a family member or a client sell a New York property, you're in the right place. I've been representing homeowners for more than two decades in the sales of their homes. I offer a unique blend of education, knowledge, experience and sensitivity to each and every client. I strive to not only get you the best price available in today's market, but also to make the sales process as smooth and headache-free as possible. Looking for a free home evaluation, ideas on "staging" your home or helpful relocation tips? The "Sellers" tab contains answers to these questions and practical input to help get you started. Do you have a home you've inherited or soon expect to inherit? Do you wish to sell this property? You may benefit from reading the tab on "Inherited Homes" which provides specialized information relating to the sale of properties acquired by will or intestate distribution. Are you close to retirement age or already retired and contemplating whether your current home and community are right for you? Perhaps you've already purchased your retirement home and are ready to sell your New York residence? Please click on the "Retirees" tab for important information pertaining to the issues and matters that affect you. Are you a senior homeowner planning to move or a family member helping a loved one relocate from a Long Island residence? Please feel free to browse my website "Senior Services" tab to learn more about real estate issues concerning the mature market. Do you need to sell your home but owe more than the property is worth? Perhaps you've fallen on tough times and your mortgage is in default. 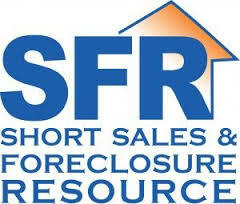 Please see my section on "Short Sales" which explains the short sale process as a possible alternative to foreclosure. Selecting a REALTOR® to sell your home is a decision that should not be taken lightly. You want to choose a real estate professional with extensive knowledge and excellent credentials. Please refer to the "About Stacy" page which outlines the broad range of my real estate experience, career accomplishments and academic achievements. Wouldn't it be nice to know your REALTOR® is someone others in her industry go to for real estate advice and information? For over two decades, I've been a source of real estate expertise to New York media and Long Island journalists. The section labeled "Press" displays the many newspaper articles and magazines in which I have appeared since 1994. Testimonials - Choosing The Right Agent! When choosing a real estate agent, isn't it helpful to know that others, like you, are pleased with the services of that REALTOR®? Included on the bottom of the Inherited Homes, Retirees, Senior Services and Short Sales sections are some of the personal letters and notes I've received from past clients. Feel free to take a look at these testimonials. Whether you are planning a move today, next week, next month or even next year, please feel free to contact me when you're ready. Thank you, again, for visiting. I look forward to helping you. Serving Long Island Since 1994. RE/MAX Central values community involvement at all levels of the organization. Children's Miracle Network is a prime beneficiary. Home seller Vera Vanek smiles alongside her REALTOR® and children after closing on the home she lived in for 64 years. 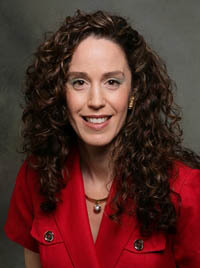 Ask Stacy why her Long Island home listings sell more quickly and for more money than her competition. Why CHOOSE Stacy Zigman as YOUR Real Estate Agent? 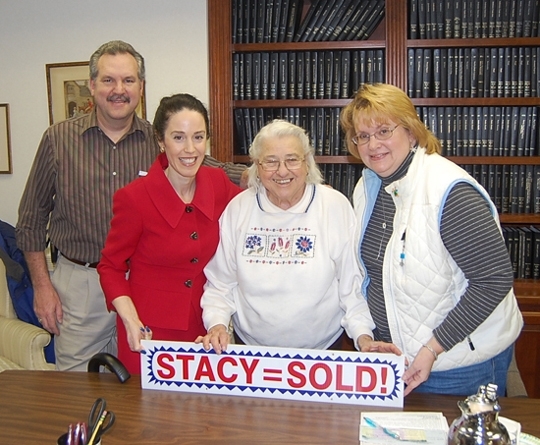 Stacy has SOLD real estate on Long Island for over 24 years! Her experience and credentials will help you SUCCEED. What's my Long Island home worth? My free service provides you with your home's current market value and suggested list price. Have a home or an apartment to rent? Call me and I will find you a responsible tenant. Interested in receiving a free eNewsletter? Click on the icon above to see an example of my free eNewsletter. If you would like to subscribe, email me and I'll sign you up. Contact Stacy and she will help you relocate just as she helped her clients in this video. Contact Stacy and she will help you buy a home just as she helped her clients in this video.